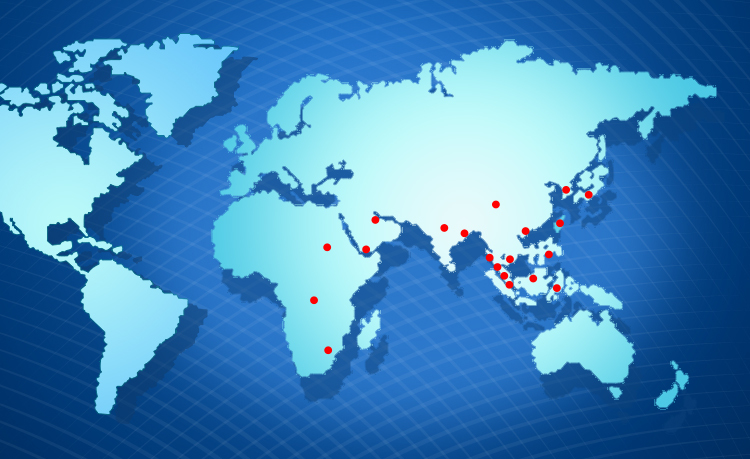 Ever since the day our first lube plant became operational in 1981, we have targeted our market overseas. Today, more than 90% of our lubricant products are exported to some 20 countries and regions all over the world including New Zealand, Japan, Korea, China, Taiwan, Hong Kong, Malaysia, Vietnam, Thailand, Myanmar, Indonesia, Cambodia, The Philippines, Brunei, Bangladesh, Nepal and the Middle East countries. Our specialty chemicals are mainly marketed in Singapore. However, a significant proportion of specialty chemicals that our two subsidiaries sold to their multi-national company customers based in Singapore are re-exported to other countries. Over more than three decade’s effort, we have now entered the active global lube market and established our position as one of the leading lubricant and specialty chemical suppliers in the Asia Pacific region.